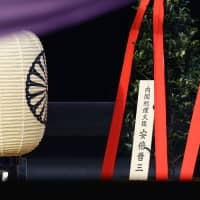 Prime Minister Shinzo Abe sent a ritual offering Wednesday to Yasukuni Shrine, viewed as a symbol of Japan’s wartime militarism by neighboring countries, on the first day of its four-day autumn festival. 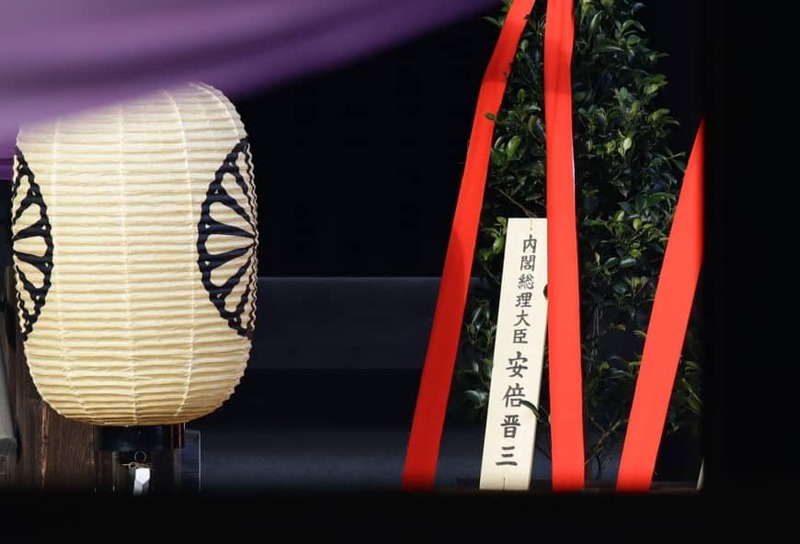 Abe, who is on a foreign trip to attend a meeting of Asian and European leaders, was unable to pay tribute to the Tokyo shrine in person, although he has refrained from doing so since his last visit to Yasukuni in late 2013. The masakaki tree offering was made under the name of the prime minister, the shrine said. The tree is typically used in Shinto-style rituals. 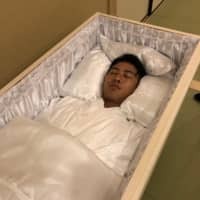 Yasukuni visits by Japanese leaders have angered China and South Korea, both of which suffered from Japan’s past aggression, as it honors convicted war criminals, including wartime Prime Minister Gen. Hideki Tojo, along with more than 2.4 million war dead. The prime minister’s ritual offering to the war-linked shrine comes ahead of his three-day trip to China from Oct. 25, during which he will hold talks with President Xi Jinping to discuss ways to improve relations between the two Asian powers. 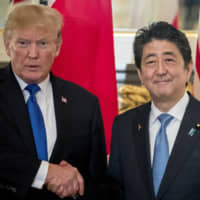 Backed by conservative supporters, Abe has regularly delivered ritual offerings to the Shinto shrine during its spring and autumn festivals and given ritual donations on Aug. 15, the anniversary of Japan’s surrender in World War II. Welfare minister Takumi Nemoto, House of Representatives Speaker Tadamori Oshima, and House of Councilors President Chuichi Date also separately offered masakaki. Abe’s visit to the shrine in December 2013 further soured strained relations between Japan and China, which were already at odds over the Japan-controlled Senkaku Islands in the East China Sea that are also claimed by Beijing.